Enter Your First Name, Email, & ClickBank ID(s) To Get Started! We don't sell, rent, lease or give away user email addresses. We will not share your email information with third parties. We respect your privacy. This launch is on the ClickBank platform. In order to promote it, you will need to be signed up to ClickBank. It’s Free. If you haven’t already, click here and sign up! You may already know that Fred Lam is a huge supporter for dropshipping. But what if we tell you that there’s another segment of opportunity where you can profit over 7 figures in sales online, without investing a single penny in inventory? 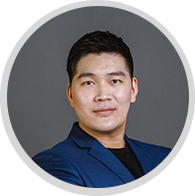 Today, Fred Lam and Michael Shih, an underground millionaire, want to introduce to you this all new training course on how to build a 100% automated eCommerce business using nothing but print-on-demand. Fred and Michael put together Print Profits with their students in mind. We understand what eCommerce can do for the lives of our students. We also know that they are often held back by several obstacles like. How to build a highly profitable business without worrying about competition? How to sell hundreds of products with just a small $5 daily budget? How to dominate Facebook Ads and sell products completely unique to you? That’s why Fred and Michael are happy to announce the release of Print Profits. This training course series will reveal a never-seen-before business model and provide solutions to those challenges! Print Profits is broken up into 8 modules. Fred and Michael will show you how to build a business from scratch using print-on demand. There will be case studies, blueprint formula, and templates you can follow to implement right into your business. This one program alone shows you the complete step-by-step on how to build a profitable online business using print-on-demand. Not only are we giving away over $450 commission per sale, but we’re also giving away over $50,000 in prizes! Who’s Fred Lam & Michael Shih? Our Print Profits launch is a little unique and may be different from what we are used to seeing. It is broken down into 3 PHASES. Each phase serves its own purpose and is proven to convert higher than the previous one, all the way to the end of our closing. These 3 phases are TESTED and PROVEN for high conversion where you can maximize your commission for every click that you send through during our launch. It’s not just about pitch. We want to provide valuable content to your followers and make them love you. Instead of a typical free PDF report, we have created a FREE 10-part video training series for you to give away. 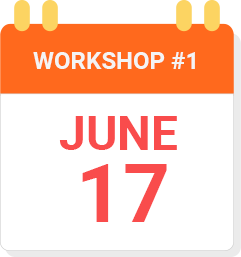 This training series will blow your subscribers away with incredible experience filled with amazing content to kickstart their online business. Now, here’s the best part for YOU. For every person that subscribes to this FREE course giveaway, you will be guaranteed to earn $2 per lead. The ONLY condition is that each lead MUST double opt-in and then you will automatically be qualified for this prize. There is NO limit to this, however, you do need a minimum of 50 confirmed email addresses to earn this $2 per lead contest. Also, email addresses with the same IP address will only count as one and we have the rights to remove anyone from this contest if we suspect an abuse to the contest. 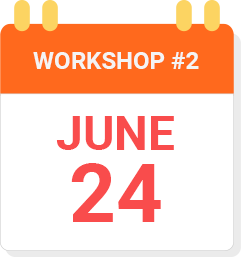 We will be hosting 2 workshops filled with value and content. 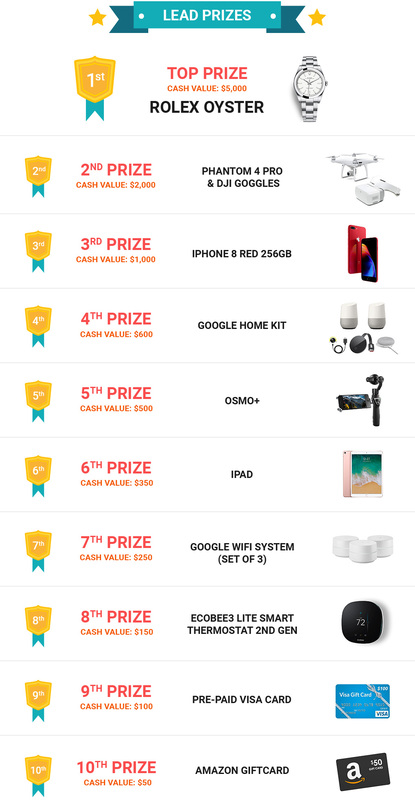 Throughout Phase 2, we are going to reward a total of $15,000 in prizes for the top 10 affiliates. The top prize is even going to be a ROLEX! 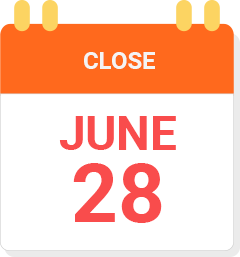 On July 23rd, we are going to have a full 8-hour virtual Q&A session. In this event, we will have Fred Lam and Michael Shih to provide amazing content to your followers. Not to mention, your subscribers even get a chance to ask any burning questions that they may have and get help from experts! We will also be offering Print Profits at a HUGE discount. This is unlike any other typical launch. We will have a full agenda and structure in place so we can solely focus on selling more Print Profits and for you to earn more commission! 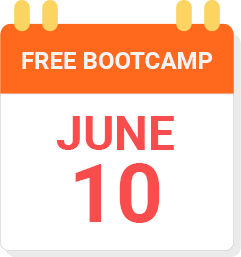 We are kicking off our launch with a free course giveaway starting on July 5th. This is a 10-part video training series to blow away your subscribers with amazing content like how to build your print-on-demand business from scratch. We believe in value. Our two webinars are not just going to be about pitch. They will provide lots of value, training, and content where there’s an opportunity for your followers to join our program! Plus, we are also doing an 8-hour Q&A session after the webinars to answer any burning questions your subscribers may have! 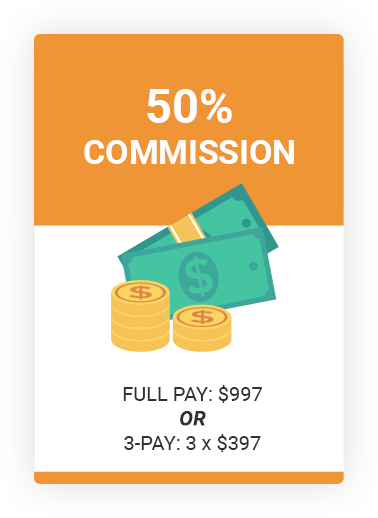 For every member you refer to Print Profits, you will earn $498.50 in commission! We’ll pay out your commissions 30 days after our cart closes. 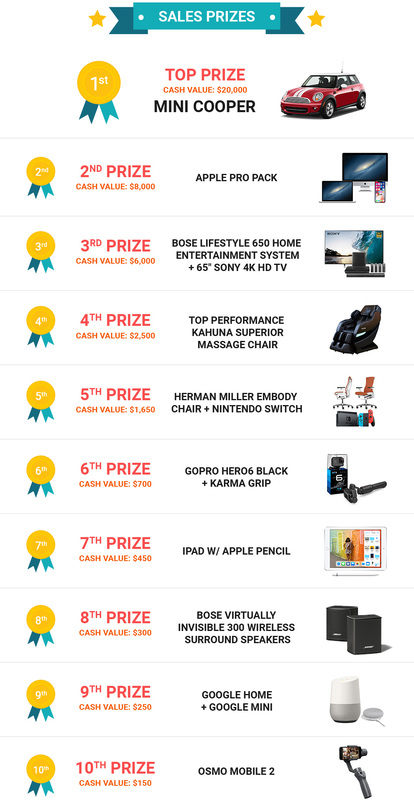 Listen, we’ve carefully selected our prizes differently to ensure every supporter will walk away with a great prize. 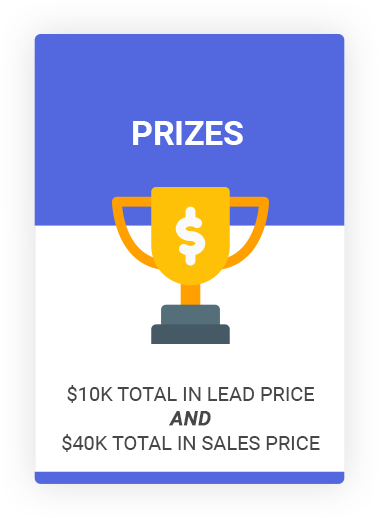 Besides the traditional leads contest and sales contest that are worth over $50,000, we also want to add in a little fun. For every lead you send through, you will be guaranteed to receive $2 per lead for anyone that signs up for the free bootcamp and confirms their subscription. We want to show you that we value any support we can get with this double opt-in! Our Print Profits has been proven and tested to work. 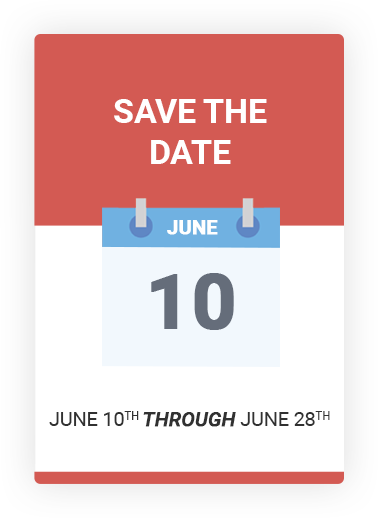 During our beta launch, we’ve done a 10% conversion rate on this specific webinar series! You can rest assured that the conversions will be over the top! Love the training. I like how everything is broken down and made simple to follow. And not long winded on minutes, you get to the point I’ve already created 2 necklaces by myself with the knowledge that you have given me now I just need to implement FB Traffic I’ve all ready been using bing traffic but its been slow. Thanks really enjoy the trainings. Started a print on demand store when I joined Print Profits. Nearing about 1-2 sales per day so far. Great start! Would like to thank Michael for the excellent course and clear instructions. This is the real deal! This Print Profits Academy is the real thing. I have been nothing but pleased with everything so far. The video modules are outstanding. 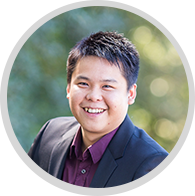 The first Mentorship Webinar with Michael Shih was better than I expected. I anticipated him answering questions and offering his advise. However, his calm demeanor remained intact, no matter what type of question was asked of him and that really impressed me. Baby Boomers like me believe in keeping busy and trying new things. I’m proud to be a founding member of Print Profits Academy. I give my full endorsement. Thank you. The new FTC Guidelines for affiliate marketing came into effect on December 1st 2009. As an affiliate or JV partner for ‘Print Profits’, you’ve read and fully agree to the terms listed on the Official FTC Website - http://www.ftc.gov/bcp/guides/guides.shtm to ensure that your promotions are compliant with the new guidelines. The minimum threshold for our Control Your Destiny contest is 50 confirmed email addresses. Same IP address of email subscribers will be counted as one qualified lead. We have the rights to remove any affiliates from the contest if we suspect any suspicious activities. Affiliates are not permitted to do use any keyword based advertising (such as search engine PPC) targeting a keyword of any of iPro brands (For example, you may not target the keyword “Print Profits” in your PPC campaign). Affiliates are not permitted to use domain names containing any of iPro brands to promote. For example, you may not use printprofits.com, because it has the term “Print Profits” in it, which is one of our brands. Please make sure that your review/bonus site does not accidentally (or purposely) represent as us in any way – so using our logo on your page is probably fine, but in your header, maybe not – use your discretion. We don’t allow cashbacks, rebates, giftcards, ipads etc.. Information product bonuses are allowed and encouraged.